When creating a traffic management system, the organisation of parking is an important component. There may be times when parking needs to be restricted to one type of driver. Parking bay signs are an effective method of managing the parking on your premises so that spaces are available for the vehicles for which they are intended. Roads and vehicles on a work site are a common hazard. Using parking bay signs to indicate where people can park, or to prevent unauthorised parking, will minimise confusion - creating a safer and more efficient traffic system. 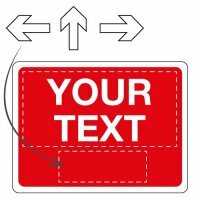 Learn more about the sign types available and how they can increase efficiency and safety in our buying guide. Parking bay signs will help ensure traffic systems on a work site run smoothly. Vehicles parked where they are not permitted inconveniences everyone, and the increased confusion can be hazardous. At Seton, we have a large range of parking bay signs which clearly show who is permitted to park in a given location. Parking bay signs should be used in all business premises with car parks where certain spaces need to be reserved. The parking bay signs at Seton include many different options. Use them to differentiate between spaces for employees, visitors and customers, or for particular members of staff. 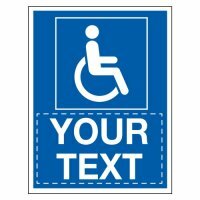 Keeping suitable spaces free for disabled employees and visitors is also essential, and we have signs for this as well. Parking bay signs may be used to differentiate between different types of vehicles, indicating spaces for electric cars, motorbikes and bicycles. Signs are also available to mark your bike racks and shelters. The parking bay signs at Seton include the relevant wording and pictogram with some being made from reflective materials for safety at night and at other times when visibility is poor. At Seton, you will find parking bay signs suitable for most circumstances. 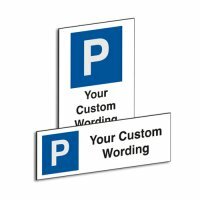 If you are unable to find a parking bay sign to suit your needs, get in touch with us to discuss our custom sign service and we can create a sign that will meet your requirements. To securely fix your parking bay signs, we offer a selection of sign holders and fixings which ensure signs remain visible. For many companies, creating a good traffic management system that will keep everyone safe, minimise confusion and meet all required standards is a tricky task. Make it easier by shopping with Seton, a leading supplier of workplace safety equipment. All the parking bay signs we stock comply with relevant EU and UK safety regulations. Parking bay signs play an important role in the smooth running of your traffic management system. Increase efficiency by using parking bay signs in conjunction with other car park solutions such as parking restriction signs to make sure everyone clearly understands where parking is permitted and prohibited. Parking bay signs can do a great deal to improve the smooth running of your car park, allowing employees and visitors to quickly park their vehicles. Clearly marked spaces in parking bays ensure that those with special requirements have a space free for them when they need it. Good parking strategies play an important part in the safety of drivers and pedestrians on your premises, resulting in a safer, more efficient workplace.